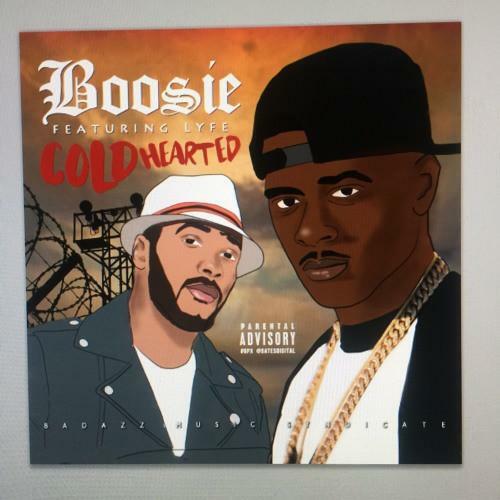 More new music from Boosie Badazz: "Cold Hearted," featuring Lyfe Jennings. It's been an insane couple of months for Boosie Badazz, starting with his cancer diagnosis in November. Last month, he made it through a surgery that successfully removed the cancerous kidney, and on New Year's, he dropped an album that documents the whole experience. A few days later, a new track has surfaced that didn't make it onto In My Feelings (Goin' Thru It) but is essential listening nonetheless -- "Cold Hearted," featuring veteran R&B singer Lyfe Jennings. Judging what Boosie's been through -- remember he got out of prison in 2014 after serving 5 years, a few of which were spent on death row -- it's no surprise he sees the world as "cold hearted." He observes violence and betrayal all around him, both in his neighborhood and on a higher, institutional scale by the powers that be. The beat bumps, and Jenning's contributions give it a blues-rap type of feel. It's not exactly uplifting, but it sure is real.